NCAOR Recruitment 2018 2019 Application Form for 27 Vehicle Mechanic, Vehicle Electrician, Generator Mechanic/Operator, Welder, Carpenter, Male Nurse, Lab Technician, Inventory/Book keeping Staff, Cook Posts Download Application through Official website www.ncaor.gov.in. 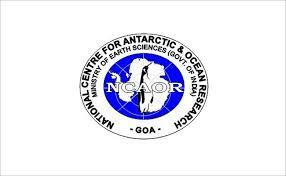 NCAOR Vehicle Mechanic, Welder, MTS, Male Nurse, Cook Jobs Notification 2018 Released NCAOR invites Walk in Interview for appointment in following Vehicle Mechanic, Welder, MTS , Male Nurse, Cook post in National Centre for Antarctic and Ocean Research. Candidates are requested to Download Application through Official website www.ncaor.gov.in. Prospective candidates will have to before Walk in Interview carefully reading the advertisement regarding the process of examinations and interview, eligibility criteria, Offline registration processes, payment of prescribed application fee/intimation charges, NCAOR pattern of examination, NCAOR Syllabus, NCAOR Question Paper, NCAOR Walk in Date, NCAOR Result Date etc. 1. Vehicle Mechanic - Trade work as per the service records with minimum four years experience in respective trades, ITI Certification in relevant trade with four years relevant experience or Diploma in Engineering in relevant field with two years working experience in relevant field. 2. Vehicle Electrician - Trade work as per the service records with minimum four years experience in respective trades, ITI Certification in relevant trade with four years relevant experience or Diploma in Engineering in relevant field with two years working experience in relevant field. 3. Operator Excavating Machine (Dozers, Excavators) - Trade work as per the service records with minimum four years experience in respective trades, ITI Certification in relevant trade with four years relevant experience or Diploma in Engineering in relevant field with two years working experience in relevant field. 4. Crane Operator - Trade work as per the service records with minimum four years experience in respective trades, ITI Certification in relevant trade with four years relevant experience or Diploma in Engineering in relevant field with two years working experience in relevant field. 6. Generator Mechanic/Operator - Trade work as per the service records with minimum four years experience in respective trades, ITI Certification in relevant trade with four years relevant experience or Diploma in Engineering in relevant field with two years working experience in relevant field. 7. Welder - Trade work as per the service records with minimum four years experience in respective trades, ITI Certification in relevant trade with four years relevant experience or Diploma in Engineering in relevant field with two years working experience in relevant field. 8. Boiler Operator & Mechanic/ Plumber/ Fitter - Trade work as per the service records with minimum four years experience in respective trades, ITI Certification in relevant trade with four years relevant experience or Diploma in Engineering in relevant field with two years working experience in relevant field. 9. Carpenter - Trade work as per the service records with minimum four years experience in respective trades, ITI Certification in relevant trade with four years relevant experience or Diploma in Engineering in relevant field with two years working experience in relevant field. 10. Multitasking Staff - Trade work as per the service records with minimum four years experience in respective trades, ITI Certification in relevant trade with four years relevant experience or Diploma in Engineering in relevant field with two years working experience in relevant field. 11. Male Nurse - Diploma in General Nursing or b) Bachelor of Science in Nursing as approved by Indian Nursing Council or c) Diploma in Operation Theatre Technique or equivalent or d) Certificate in relevant subject from an Institute recognized by the Central or the State Government.